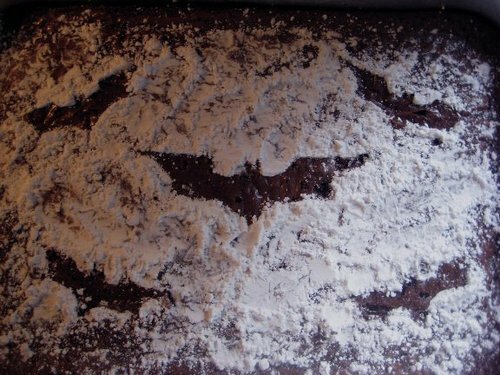 Batman Brownies aka I'm the Best Daughter Ever. made these brownies for my father (who is an even bigger batman fan than I). Wallpaper and background images in the Batman club tagged: batman symbol brownies. This Batman fan art might contain brittle, toffee, and toffy.